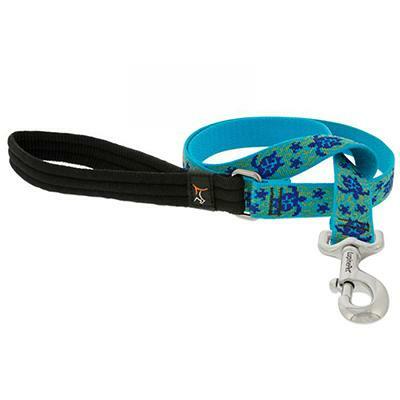 Designed with cats and smaller dogs in mind, Lupine's Padded Handle Lead is a step above the average nylon dog leash. The padded handle is still comfortable with the toughest of pullers, making it a top rated highlight among customers. All Lupine products, solid colors and patterned, are sewn at Lupine's facility in the White Mountains of New Hampshire and share the same high quality materials, construction, and lifetime guarantee!